LINCOLN, Neb. — A Republican senator who's among President Donald Trump's most vocal critics within the party blamed technology for the country's divisions during a discussion with University of Nebraska-Lincoln students this week. 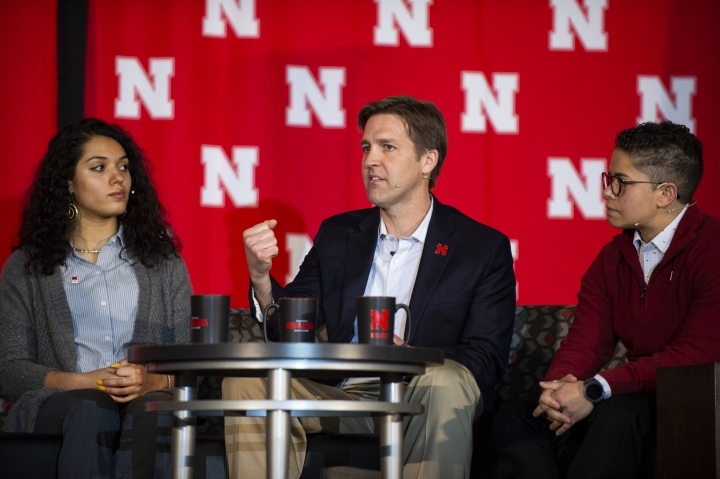 Sen. Ben Sasse of Nebraska spoke to more than 600 students Monday at an event called "Why Don't We Get Along? 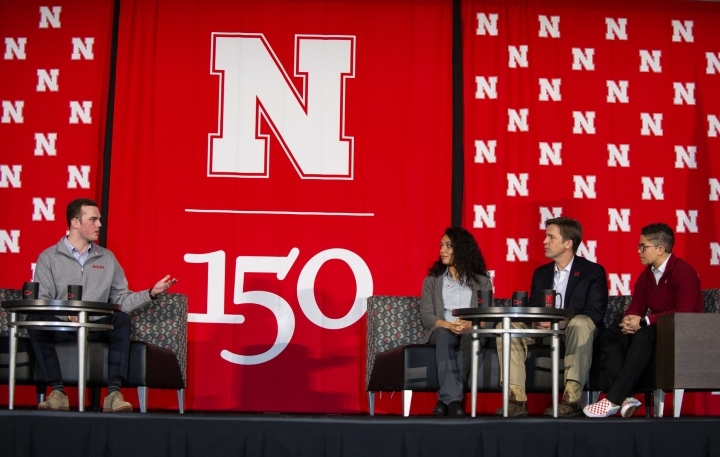 How Huskers Can Change the Future." The first-term senator said technology has undermined traditional community structures, and people try to replace them with ideology or "political tribes." Political parties aren't adequate replacements for communities, according to Sasse, who has said he regularly considers leaving the GOP and becoming an independent. 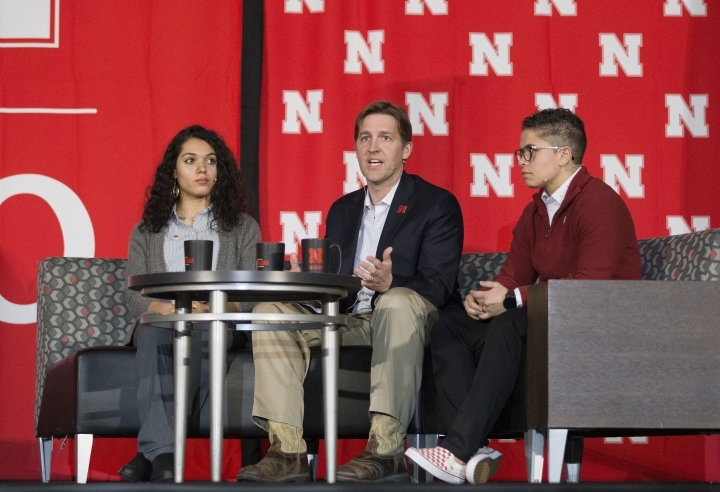 "Republicans and Democrats are crappy tribes," Sasse said during the panel discussion. "These aren't people who love you and are going to comfort you in your old age. They're just political parties." Junior student Grace Chambers said technology and social media shouldn't be avoided, but rather used as a tool to educate and engage students. Hunter Traynor, a senior, criticized Sasse's argument as ignoring their reality of growing up immersed in social media. "It's hard to think aspirationally when all the solutions are pitched in nostalgia," Traynor said. Traynor acknowledged that technology use has exacerbated rifts in American society, but he said it's also created opportunities for conversations that can heal them. Traynor recommended that his peers "seek out information you disagree with on purpose."